Start Here: Not Sure What Weightlifting Shoes Are? Read This Article First for What, Why and When. Welcome to WLShoes.com, the ONLY website and online community dedicated solely to weight training footwear. It may seem crazy, but the type of shoes you chose for your training can have a drastic impact on your form, safety and overall ability to perform your lifts. Wearing the proper shoes for your style of lifting and training will increase the overall efficiency of your training. Not surprisingly, there are numerous options that vary in more than just name and styling. From traditional Oly style shoes with 3/4 inch heels, to hybrids and custom heel heights - this site is here to help you select the correct lifting shoe for you. Looking for a specific weight lifting shoe review? Well you're in the right place. We have user submitted and experts reviews, video comparisons and detailed write-ups on all the newest models as well as the latest industry news and deals on shoes. Our reviews are organized under the categories of CrossFit, Olympic Lifting Shoes, Power Lifting Shoes, Bodybuilding and Minimalist. We strive to write thorough and unbiased reviews on everything from Oly shoes to trainers and we encourage all of our readers to leave their own experiences and thoughts as well. Together we hope to build the internet's largest and most useful database on all fitness training shoes available on the market. New Black and Red AdiPower Drops! To everyone's surprise, Adidas released the new black and red adipower weightlifting shoe on 3/13/2014. We were anticipating the release of the white model, but we didn't expect (or even know) that Adidas had another color-way in the works. With three different color combinations to chose from, Adidas will likely win over new customers. Weren't a fan of the neon orange color of the Adipowers? Well it's your lucky day because it looks as though Adidas will be adding a white model AdiPower to their lineup. This will no doubt improve their market share since many lifters were unhappy with the limited color options before. It's that time and retailers are clearing shelves and warehouses to make room for new models and inventory. 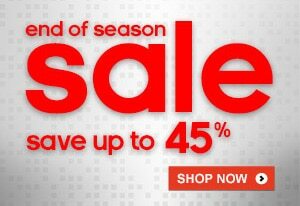 Adidas is having an awesome End of Season Sale going on on right now that features over 1,700 items on sale for up to half off their normal price. The sale will run until all items are sold out so you will want to act fast to get items in your size! One of the original choices amongst CrossFit athletes, Inov-8 is taking a stab at the Oly shoe market with the new FastLift 335/315. It is being touted as one of the lightest lifting shoes ever released with a design that combines a lightweight trainer with a molded, TPU heel. We take a quick look at the design and some of the features this model is reported to have.